In this solid mystery, Neela is an Indian-American girl who has recently been sent a beautiful old veena (a traditional Indian instrument) by her grandmother. She brings it into school for show and tell and as Neela is wheeling it home that afternoon, it begins to rain. She shelters in a nearby church where a nice man named Hal makes her cocoa and keeps her occupied. But when Neela goes to look for her veena in the closet, it is gone! During the subsequent search, Neela finds out that her veena carries a curse and a mysterious past. As Neela tries to sort out the various suspects, she begins to gain some new friends and some new confidence in herself. 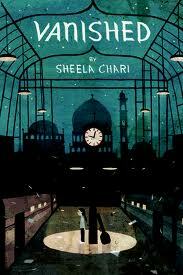 The mystery will take Neela out of her comfort zone and all the way to India before it is solved. A really interesting puzzle with lots of good characters. Readers will connect with Neela and hope she is reunited with her veena.